VitaSol is a liquid organic soil-improver based on potassium (6%). Its organic origin facilitates the absorption of VitaSol by the crop. Furthermore, it is extremely suitable as a converter of available nutrients. 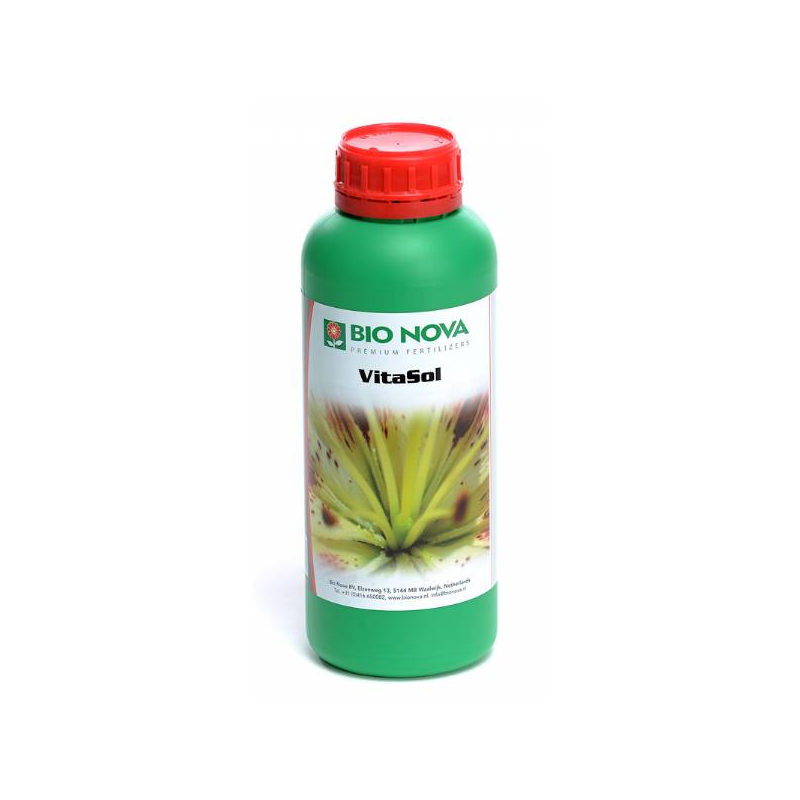 Especially in periods of high production and rapid growth (in case of artificially lighted crops) or in case of a stagnation in growth caused by a deficiency of nutrients, the use of VitaSol has proved to be very effectively. This product is absorbed by both roots and leaves, which practically rules out burning of the plant. VitaSol mixes easily with water and can be added to the plant by means of a dripping system, but then rinsing is recommended. A result of its organic basis, VitaSol establishes a stable and constant growth, a strong root-hair development, a healthy color and a high natural resistance to diseases. VitaSol contains lime, potassium, and a great number of trace elements. This product gives an extra sweet taste to fruits.